The PC software is very simple and user friendly and allows for program customization. 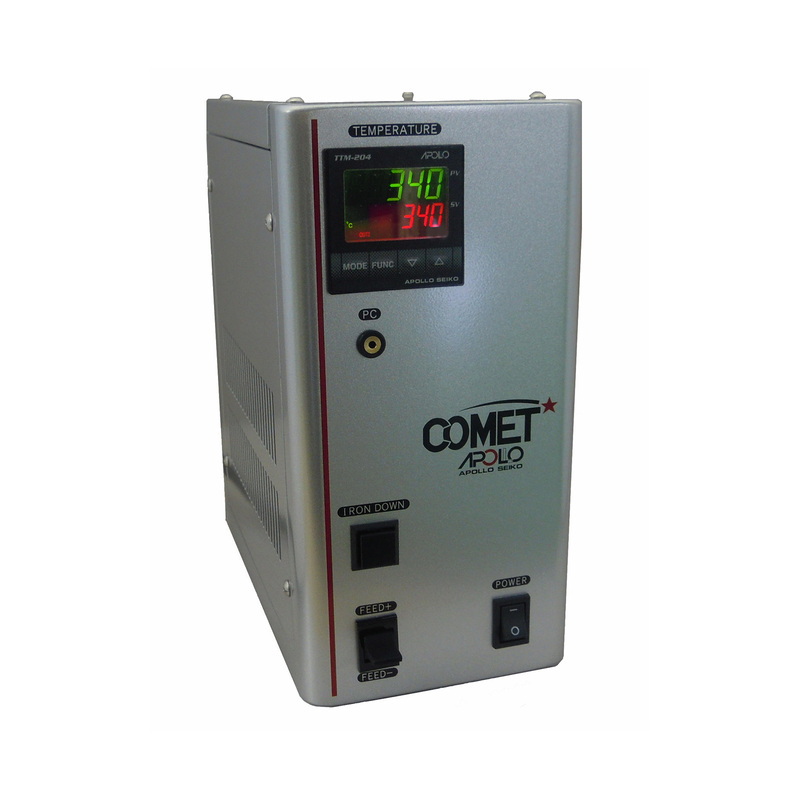 The Comet controller can store 100 solder profile provides for flexible programming to meet the needs of a wide variety of soldering applications. The auto-tuning function is built-in and takes 30 seconds to complete. The feature allows for easy tuning of tips that require different thermal settings. Improving iron tip performance and stability. Dedicated software supplied as standard and easy to use even for beginners. Use the functions and variables, expressions, etc., you can create your own program. The robot’s features and simple sequencer to operate independently has been built. In addition, you can also handle functions and variables, expressions, etc., you can create your own original software to set the date and working conditions. You can easily switch between languages and display Chinese, Korean, French, Spanish, German, Italian, Japanese and English.